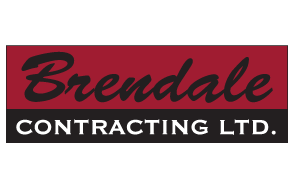 Company Profile | Brendale Contracting LTD.
Brendale Contracting Ltd. was established in 1982 and has successfully provided premium quality service based out of Whitecourt, AB to both the oil and gas and forestry industries. Brendale Contracting Ltd. offers tree clearing, log hauling and road construction services, through the use of their tractor-trailer units and excavation equipment. The company has a variety of equipment that includes bunchers, skidders, delimbers, excavators, dozers, grader, tractor-trailer units, self-loading log trucks, service trucks, labourers and operators. Amongst the priorities of quality customer service and skilled project completion, safety is placed as a top priority at Brendale Contracting Ltd. This is displayed through the continued excellence earned annually through the Certificate of Recognition audit process. Brendale Contracting Ltd. is also certified as a reputable contractor through both ISNetworld and ComplyWorks.